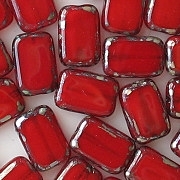 Size/shape: 12mm (long) x 8mm (wide) x 4mm (thick) rectangles with hand-polished sides. 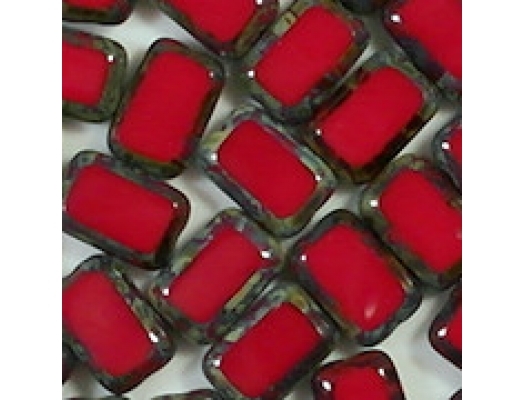 Defects: I inspect all hand-polished beads and eliminate defective beads before shipping. 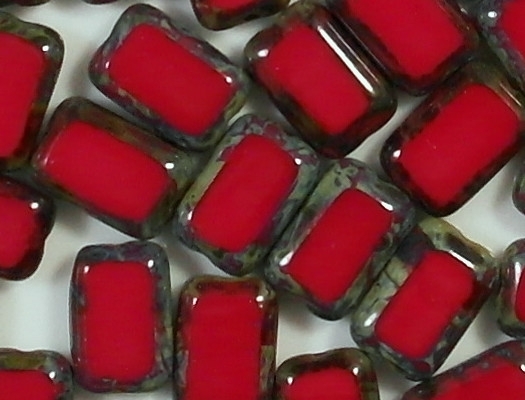 These particular beads have a lot of pits and some white spots in the glass. 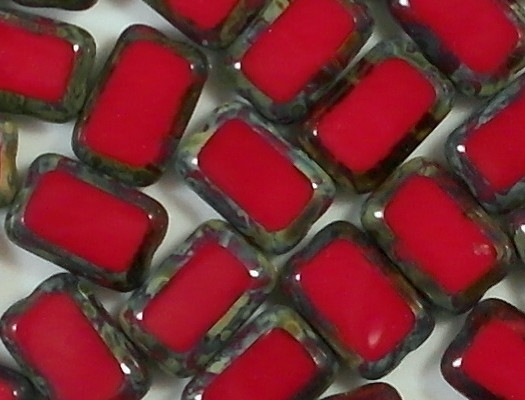 Also, some beads are dented at one or more corners. It is easier for me to see the pits than the dents at the corners (I use a magnifying glass). If you receive any defective beads, please let me know so I can issue you a pro-rated refund. Comments: Important: The red color in the picture may not be accurate. 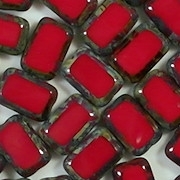 The beads are an opaque ruby red, not a fire-engine red. 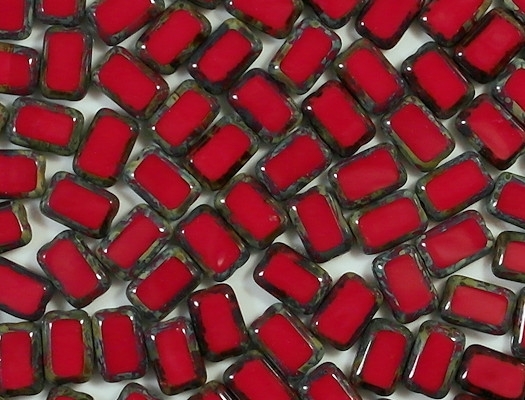 Unfortunately, my monitor does not reproduce the ruby red color well, so the beads look fire-engine red on my screen (or close to it). The likelihood is that you have the same kind of monitor that I do (T-panel LCD or LED). If so, you will probably see fire-engine red also. In my opinion, the actual beads are much nicer than the picture makes them look.